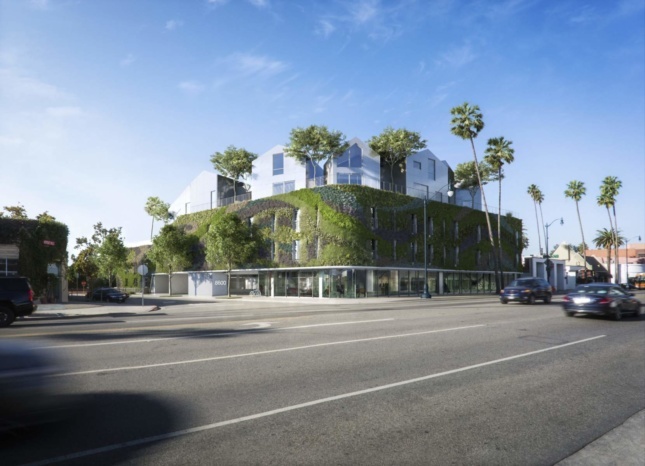 Beijing– and Santa Monica–based MAD Architects and developers Palisades are pushing forward with Gardenhouse, a mixed-use development set to become the firm’s first completed project in the United States. 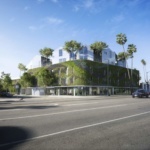 Renderings featured on a project website and recently reported by Urbanize.LA, come as construction on the project moves at a steady clip ahead of a 2019 opening. 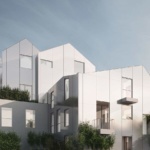 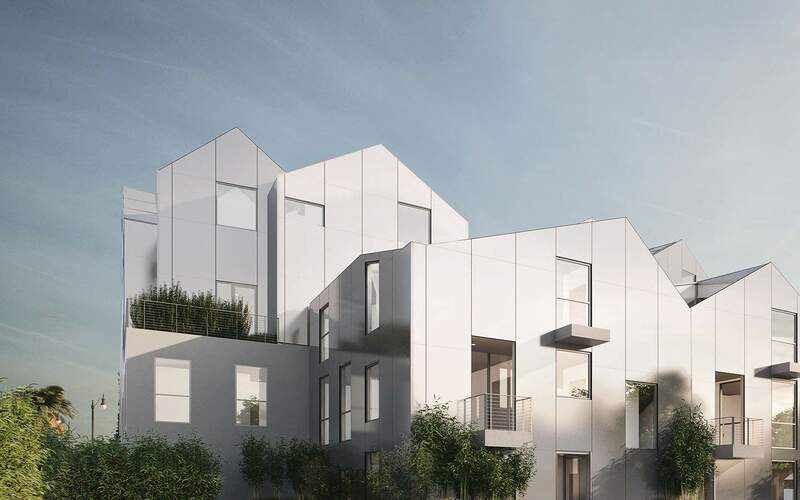 The 18-unit mixed-use residential project is designed with ground floor retail and includes aluminum panel-clad “sky villas” that sit atop the building and feature pitched roofs. 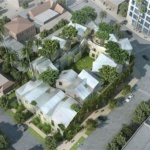 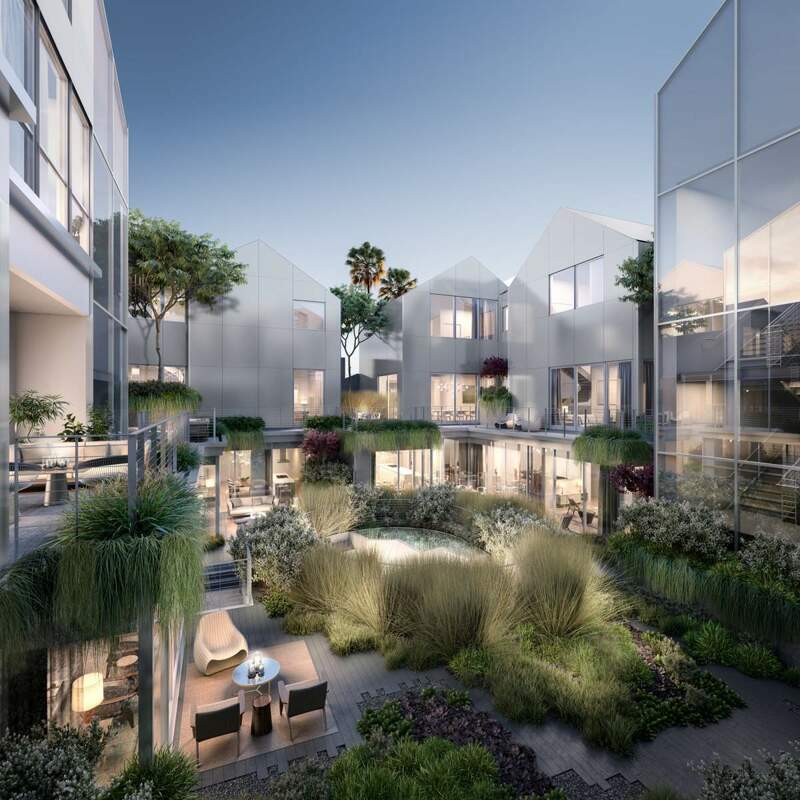 The complex will feature three distinct dwelling types, including a series of “garden flats” organized around a central courtyard and a collection of rowhouses, as well. 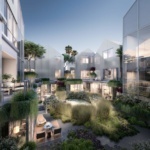 The sky villas will also face toward the courtyard and are designed with living spaces oriented toward these outdoor spaces. 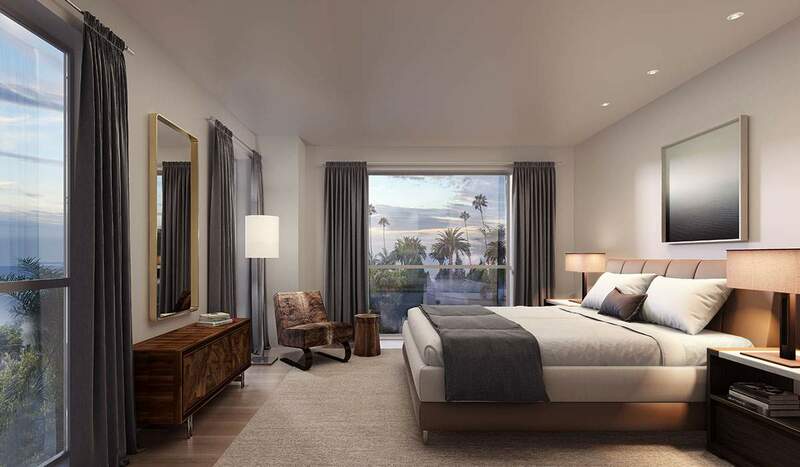 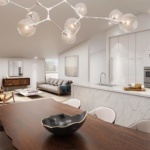 Featuring double-height, vaulted ceilings and sculptural staircases connecting each of the floors, the units are arranged to take advantage of panoramic views over surrounding Beverly Hills. 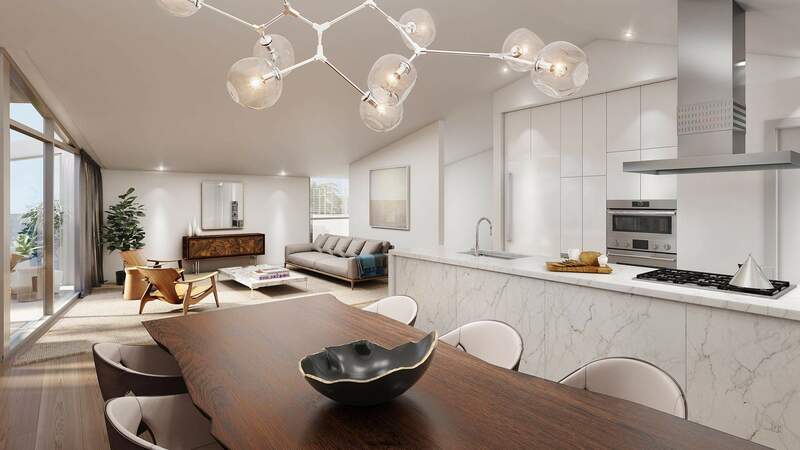 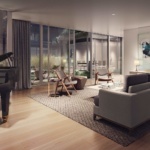 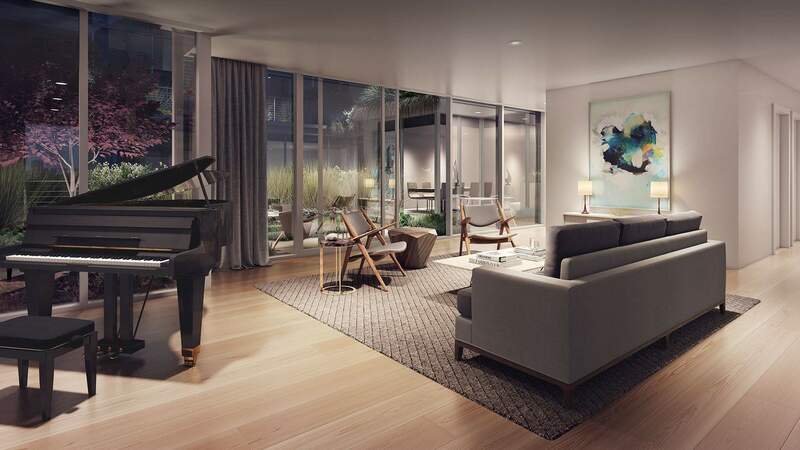 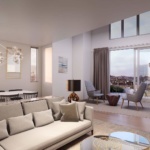 The decidedly high-end residences will also come outfitted with interiors and finishes designed by Rottet Studio and are set to include bespoke appliances by Miele and cabinets by Snaidero. 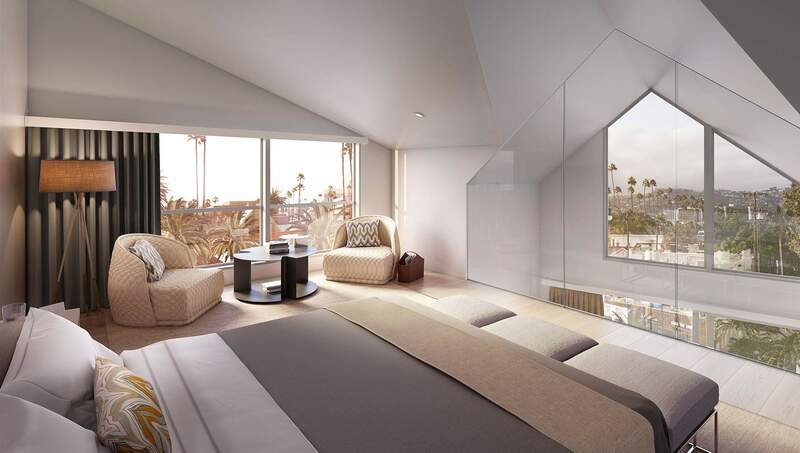 The three-bedroom apartments sandwiched between the villas and retail portions of the project are designed, like the sky villas, with multiple outdoor spaces, including balconies and terraces that look down over the courtyard. 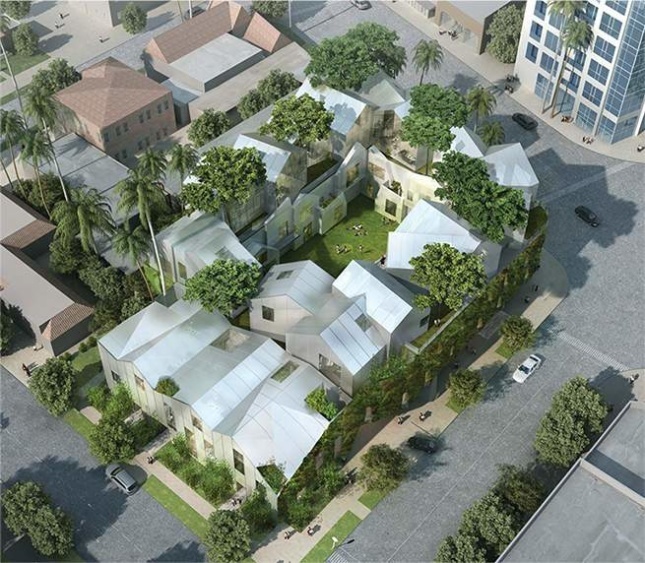 The row-house component of the project will be attached to the backside of the building where the homes are able to meet the street. 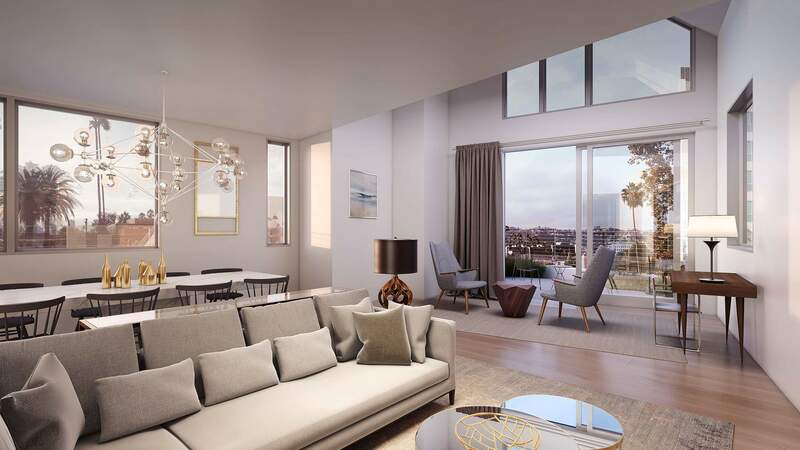 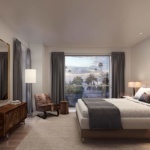 These two- and three-story units will feature individual addresses and will each come equipped with its own elevator and subterranean, three-car parking garage.